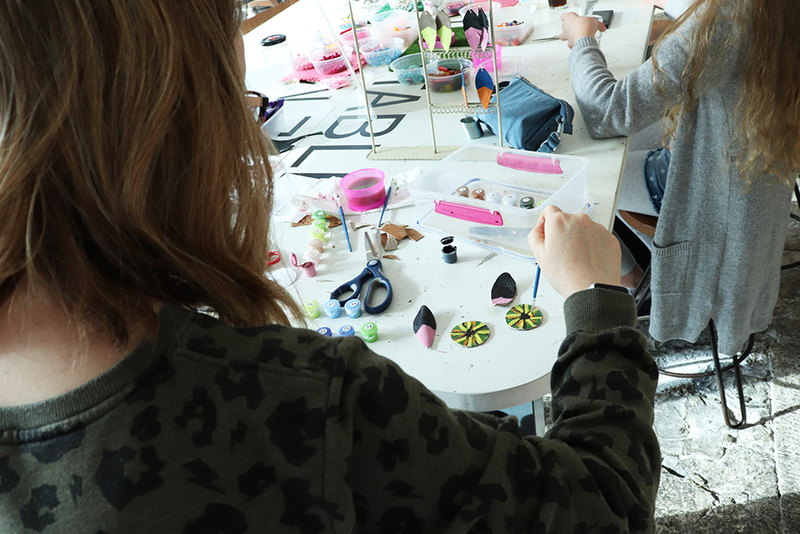 This week I’ve been running more jewellery workshops at Ocean Studios! If you know me, you’ll know how much I love making jewellery and how I love helping others make their own beaded creations! On Sunday I ran two workshops - make your own beaded necklace and bracelet, as well as make your own painted leather feather earrings. In the first workshop you choose from hundreds and hundreds of beads to design your own bead bracelet and necklace. It’s suitable for all levels - young AND old! It’s wonderful to see the creations everyone comes up with. The second workshop - you choose from a selection of leathers (vegan leather also available!) to cut out, paint and construct two pairs of earrings. Some participants chose to make the feathers for their first pair, and then experiment with their second pair! Exciting! The workshops are held in the cafe at Ocean Studios, and take place again on Wednesday 19th February. Click here for more information about the workshops. Elephant earring + tool photographs by Lara Price. Colourful statement hair clips - Soiree by Shh by Sadie! New Rainbow Heart beaded bracelets - how they were made!